I was walking down the hallway, my eyes staring at the ground as the superstars and divas that I walked by stared at me. "Gabby!" Renee was trying to catch up to me, "Gabby, can we talk!" I completely ignored her and continued walking. I stopped and looked back at her, "Don&apos;t talk to me," I said before I disappeared behind the next corner. I hadn&apos;t slept at all. As soon as I had gotten backstage I had grabbed my stuff from the locker room, grabbed my stuff from Dean and I&apos;s hotel and rent my own room at a different hotel to avoid Dean. My eyes wandered over to the clock. It was eight in the morning. Might as well get up. I threw the covers off of me as I sat up in bed. I rubbed my eyes. I jumped a little as my phone rang. My eyes darted over to it. I hesitantly picked it up. It was Charlotte. "Gabby!" Charlotte yelled, "What the hell!" I was about to speak, but she continued. "How could you do this to Dean!" Charlotte yelled angrily, "He loved you. He loved you more then anything! How could you just betray him like that!" "Charlotte," I said, but was cut off. "I can&apos;t even barely talk to you right now I&apos;m so disgusted!" She continued. "Charlotte," I said, "You&apos;re not making this any easier, OK."
"Any easier?" Charlotte asked, "What the hell are you talking about?" "I had no choice OK," I said, "You have to understand.. he has to understand that." "You are kidding me," Charlotte said, "Their is no explanation that can change my mind about you right now. Their is always a way out. Dean would have never done that to you." "You know what," Charlotte continued, "I&apos;m done talking to you." I sighed as I threw my phone aside. As soon as I got to the arena I went straight to the Divas locker room. I barged my way in and was met with the stares I knew would follow. I tried to ignore them the best I could. I threw my bag down and put on my ring gear right away. I had on black jeans, gray boots and a gray top. Something metal fell out of my bag as I took out my fingerless gloves out of my bag. I froze when I saw it on the ground. I bent down and picked it up before standing straight. It was the necklace Dean had given to me. The heart necklace with diamonds around the heart. I stared at the thing in my hand. 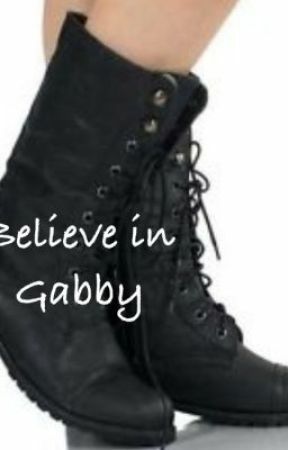 "Gabby," I heard someone whisper behind me. I clutched the necklace before turning around to see Nikki behind me.